I absolutely fell in love with this Woodland Nursery themed printable set. I know that you too will love grabbing them! 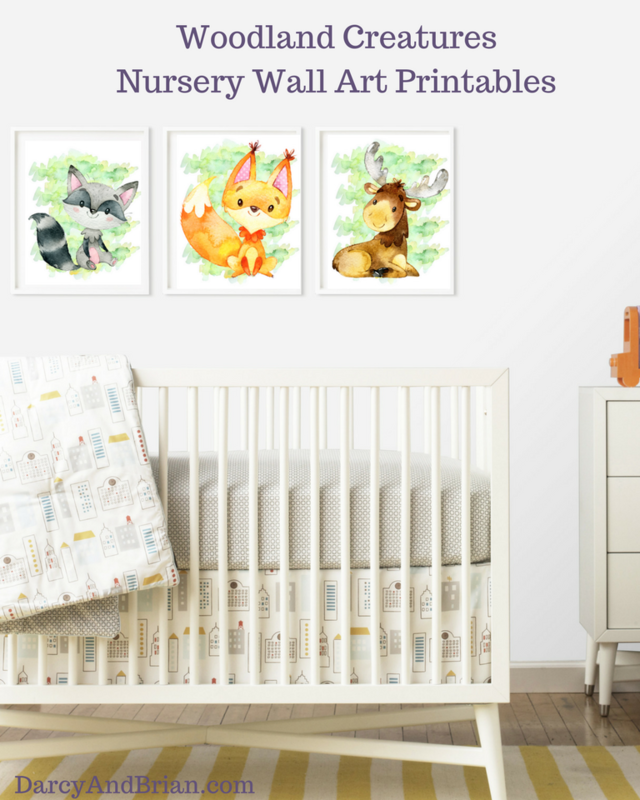 If you are expecting a baby, redoing your nursery, or looking for an inexpensive gift for a baby shower look no further than this Baby Creature Woodland Nursery Printable Posters set. Woodland Nursery ideas are so much fun! You can so easily use these for a boy or girl bedroom. I love the fact that while these printable posters have colors that pop, they are simple enough that you can put them on any wall. They will fit into almost any nursery theme! I know you are excited about printing these and framing them to go on the walls, but what else can you add to the nursery to make this theme work? Check out my picks for some great accessories and ideas that fit easily into your Woodland Nursery theme. The best part? All of these are pretty budget friendly! This list is such a great place to begin if you are building a special baby shower gift basket! Just grab a few items, some generic diapers, wipes, or lotions and then inexpensive frames for these posters and you have a great gift that everyone will love. As mentioned above, you can easily print and frame these as a simple wall hanging like shown. However, I love the idea of doing other alternative things with these. Add to a shadowbox with miniature stuffed woodland creatures. Create a woodland creature mural on the wall using these posters and vinyl decals. Print and frame in coordinating frames to make colors pop from images against a white wall. 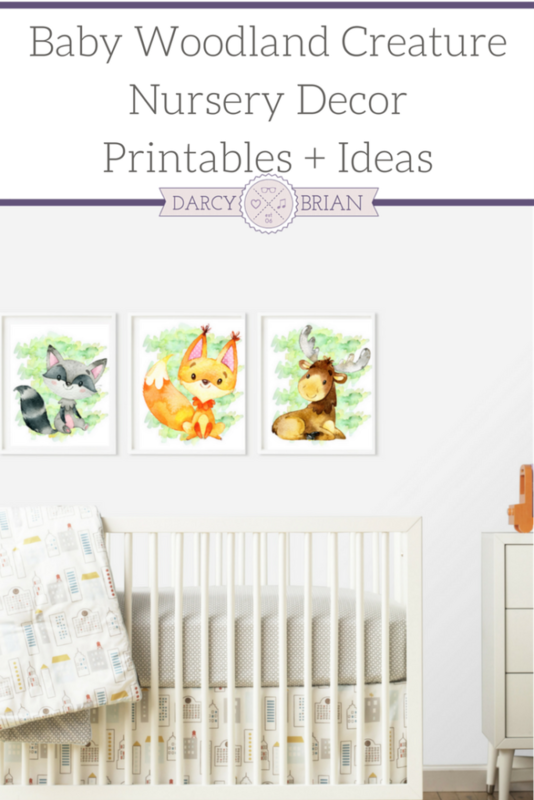 Grab your Woodland Nursery Printable Posters below! Subscribe to receive your woodland nursery printables, weekly updates by email, and access to our latest printables. I hope you love these woodland nursery ideas and printables as much as I do. They make a great addition to any nursery or child's room, and of course, being a free printable means they are ideal for any budget. 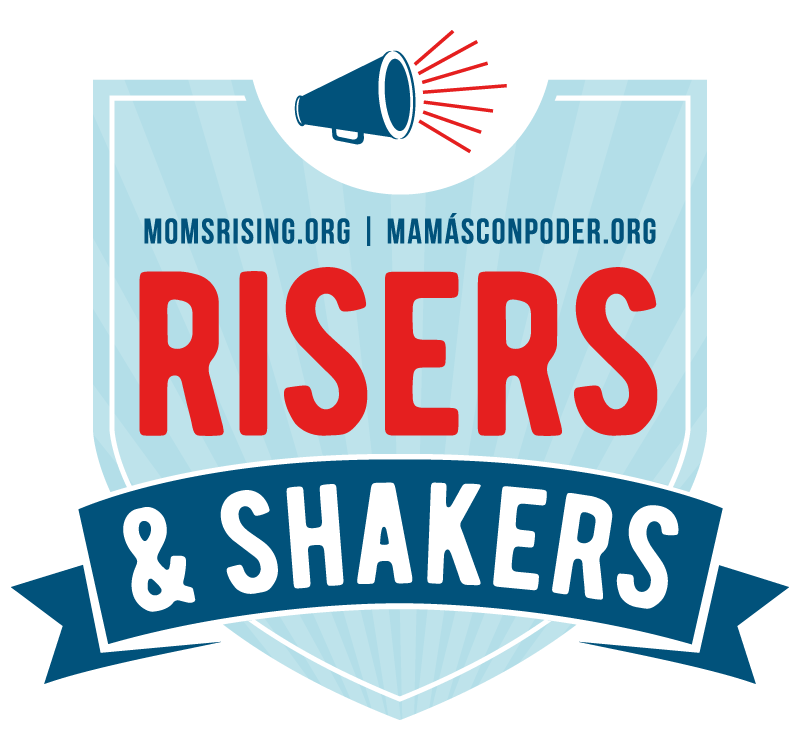 Print these and use in your child's room as a great inexpensive decor item. Those are very cute. What child wouldn’t love those! Thanks, Kimm! I love that they could easily work in a little kid room and not just a nursery.